School librarians empower students to Think, Create, Share, and Grow in the school library as they learn to harness curiosity, model responsibility, inspire exploration, promote creativity, and deepen understanding. School libraries create equity and prepare all learners for college, career, and life. Student outcomes improve when parents are involved. 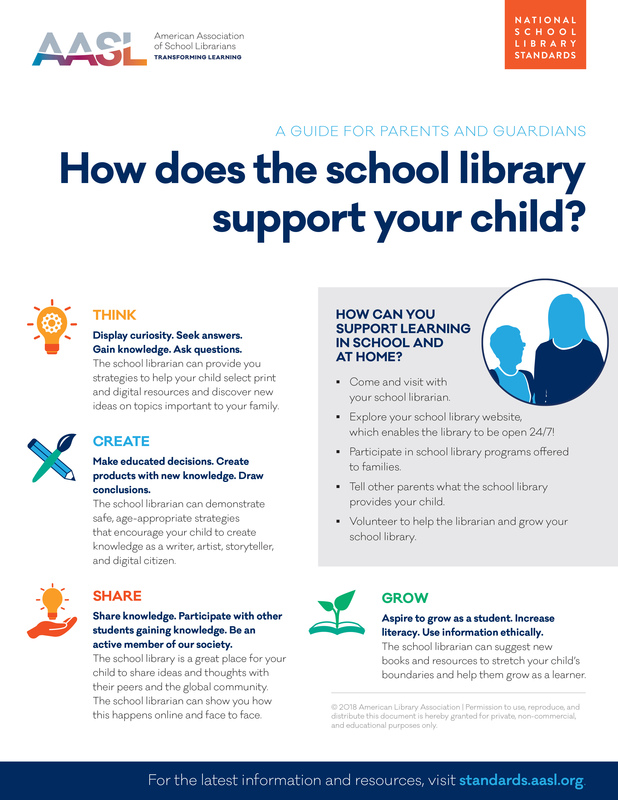 Ask your school librarian how you can support learning in school and at home. Tips to help support learning in school and at home. Share this article with your child’s school and district administrators. 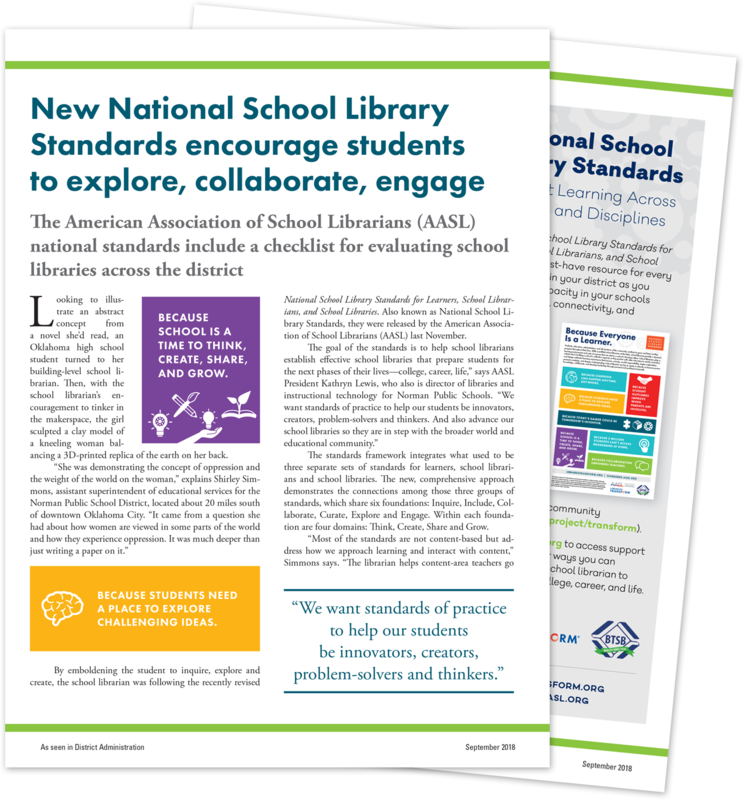 The September 2018 issue of District Administration magazine features a two-page spread highlighting district-wide applications of the National School Library Standards. Share this article with your child’s school principal, school board members, and anyone in the policy position to support exploration and collaboration through the school library.